Within five months of each other, two of the men who helped make "60 Minutes" the most distinctive news show on television have died. First it was Andy Rooney, the cantankerous commentator who died last November, a month after delivering the last of his show-closing essays. 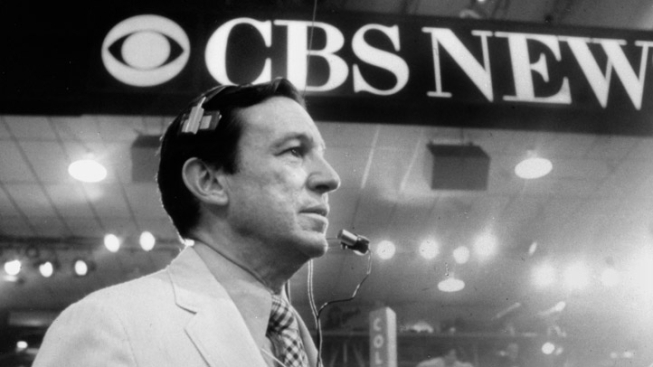 Late Saturday night, it was Mike Wallace, the hard-charging interviewer who frequently led "60 Minutes" and gave it journalistic heft with a showman's flair. Rooney made it to age 92. Wallace beat him by a year, although he spent the latter stage of his life in the New Canaan, Conn., care facility where he died. "More than anyone else he was responsible for the continuing success of '60 Minutes,' "veteran correspondent Morley Safer, a longtime colleague and frequent competitor of Wallace's in chasing after big stories, said on Sunday's show. "We are all in his debt." "60 Minutes" plans an extended tribute to Wallace next Sunday. Wallace had such a fearsome reputation as an interviewer that "Mike Wallace is here to see you" were among the most dreaded words a newsmaker could hear. During the Iranian hostage crisis in 1979, Wallace asked Iran's Ayatollah Khomeini — then a feared figure — what he thought about being called "a lunatic" by Egyptian President Anwar Sadat. Khomeini answered by predicting Sadat's assassination. Late in his career, he interviewed Russian President Vladimir Putin, and challenged him: "This isn't a real democracy, come on!" Putin's aides tried fruitlessly to halt the interview. In 1973, with the Watergate scandal growing, he sat with top Nixon aide John Ehrlichman and read a long list of alleged crimes, from money laundering to obstructing justice. "All of this," Wallace noted, "by the law-and-order administration of Richard Nixon." Fager's first contact with Wallace — as a young producer he had to shorten one of Wallace's stories for another broadcast — left him more frightened than anything he had to do professionally to that point. Eventually, Fager became one of Wallace's producers and, as the top producer at "60 Minutes," the one who had to delicately convince a man who never wanted to retire that it was time to hang it up. ABC's Diane Sawyer, a former "60 Minutes" colleague, said Wallace's energy and nerve set the show's pace. "He bounded through the halls with joy at the prospect of the new, the true, the unexpected," she said. Wallace himself became a dramatic character in several projects, from the stage version of "Frost/Nixon," when he was played by Stephen Rowe, to the 1999 film "The Insider," based in part on a 1995 "60 Minutes" story about tobacco industry whistle-blower Jeffrey Wigand, who accused Brown & Williamson of intentionally adding nicotine to cigarettes. CBS News initially cut Wigand's interview for fear of being sued. 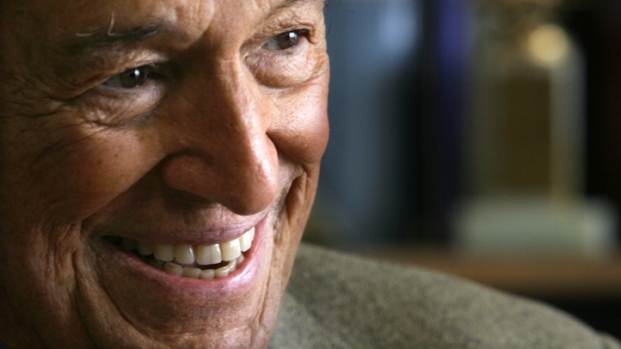 In all, his television career spanned six decades, much of it at CBS. In 1949, he appeared as Myron Wallace in a show called "Majority Rules." In the early 1950s he was an announcer and game show host. In the mid-1950s he hosted "Night Beat," a series of one-on-one interviews that first won Wallace fame for his tough style. Westmoreland dropped the libel suit in 1985 after a long trial. Lawyers for each side later said legal costs of the suit totaled $12 million, of which $9 million was paid by CBS. Wallace said the case plunged him into a depression that put him in the hospital for a week. In 1996, he appeared before the Senate's Special Committee on Aging to urge more federal funds for depression research, saying that he had felt "lower, lower, lower than a snake's belly" but had recovered through psychiatry and antidepressants. He later disclosed that he once tried to commit suicide during that dark period. He was married four times. In 1986, he wed Mary Yates Wallace, the widow of his close friend and colleague Ted Yates, who had died in 1967. Besides his wife, Wallace is survived by his son, a stepdaughter, Pauline Dora and stepsons Eames and Angus Yates.